Nyanya and Kadu bridge regions of the FCT, Abuja, as individuals from the Islamic Movement of Nigeria had a crisp conflict with troops of the Nigerian Army, amid which a few people were harmed and around 16 dreaded dead. Sporadic shots rent the air from various headings. There was tension at the Nyanya and Mararaba ends of the Abuja-Keffi Expressway, close to Nasarawa State border, as soldiers tried to block the Shiites, who embarked on a protest from 3pm on Monday to demand the release of its leader, Ibraheem El-Zakzaky, and in solidarity with its members shot dead by soldiers on Sunday. This is just as the Amnesty International condemned the Nigerian Army on Monday for applying tactics designed to kill on members of the Islamic Movement, some of whom were shot dead during a clash with soldiers in the Zuba area of Abuja. 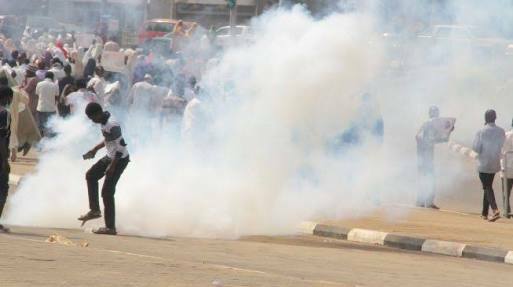 Although the military through the Army Garrison Headquarters, Abuja, said on Sunday that three Shiites were shot dead during the altercation, the sect in a release on Monday said the army killed six of its protesters during the clash. The Shiites, speaking through their Spokesperson, Abdullahi Musa, gave the names of the deceased as Abdulaziz Maigana, Mikailu Katsina, Rabiu Malumfashi, Said Khalid, Abu-Dajjana Manzo and Ukasha Madalla. In a fresh clash on Monday in Nyanya and Mararaba areas, soldiers reportedly blocked the Shiites from coming inwards towards Abacha Barracks and Asokoro. The blockade infuriated members of the sect and a violent clash occurred. The Shiites pelted the soldiers with stones and other objects while the soldiers fired gunshots to disperse the crowds. Motorists and pedestrians scampered for safety as the gunshots continued in a clash, that the casualty figures had yet to be confirmed by either side as of the time of filing this report. Meanwhile, the Amnesty International, in a series of tweets on Monday, said the government had failed to bring anyone to justice since October 2016 when the Shiites in some parts of Kaduna State were attacked and their homes and businesses destroyed. In many encounters with the Islamic Movement of Nigeria’s members, soldiers applied tactics designed to kill and neutralise an enemy, rather than to ensure public order. “Since the Zaria (Kaduna State) massacre of December 2015, members of the IMN have been subjected to the repressive clampdown. In October 2016, members of the IMN in some parts of Kaduna were attacked; their schools, homes and businesses looted and vandalised. No one was brought to justice. Also, the Shiites said the death toll in the Zuba attacks on Saturday was higher than what the army provided.